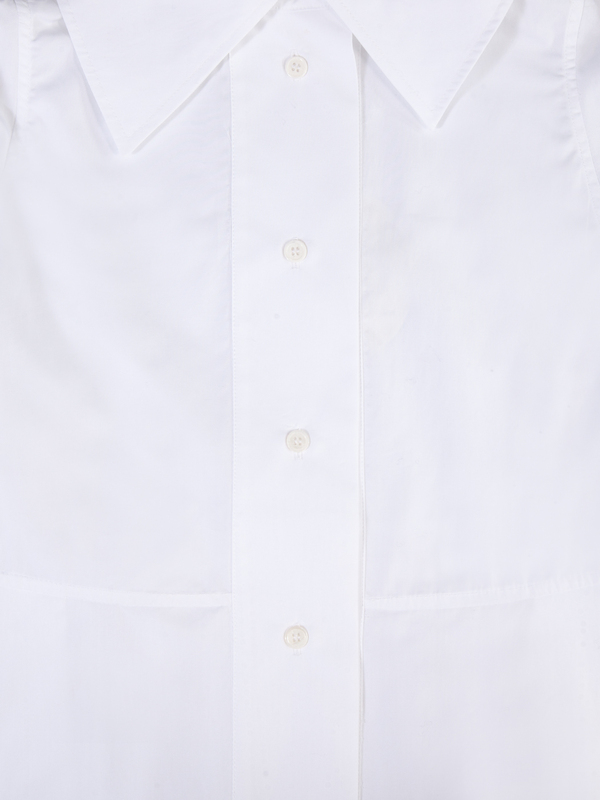 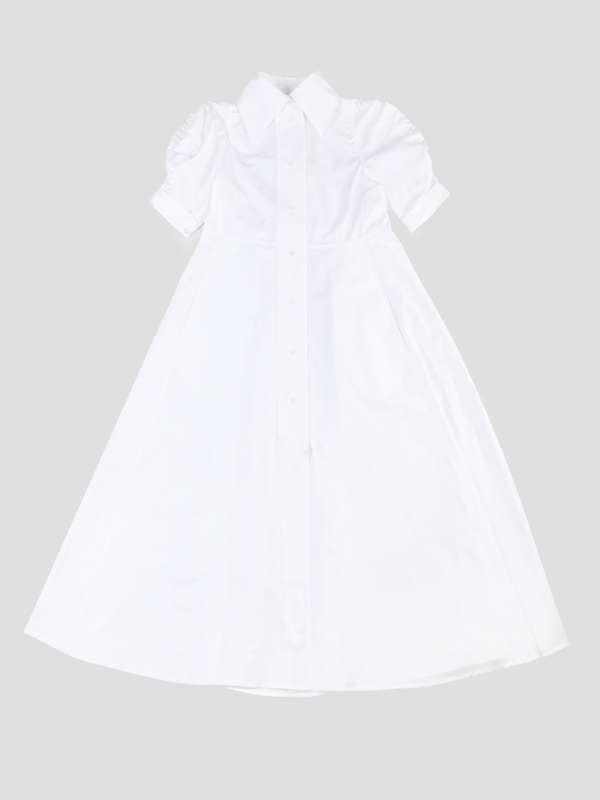 The Tifenn midi gatsby shirt dress in white is made from pure cotton. 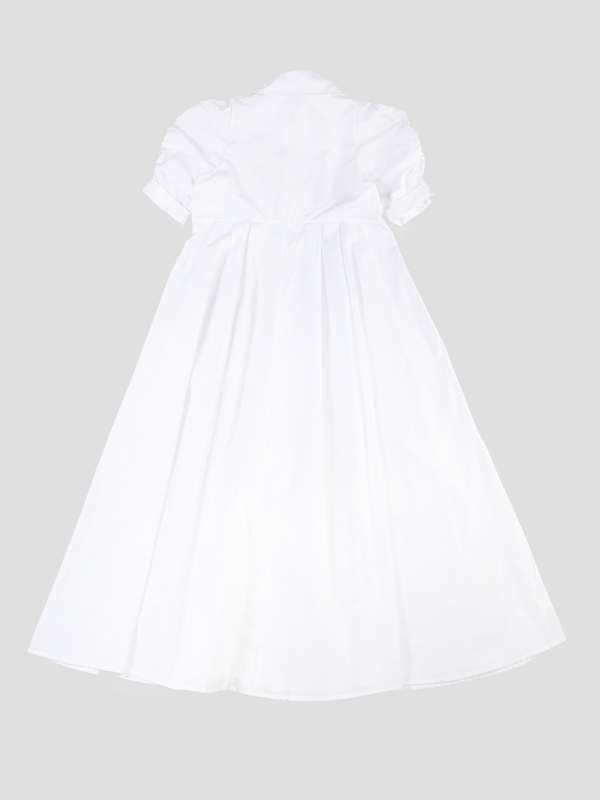 This dress features an oversized English spread collar, gathered sleeve detailing, and button fastenings through the front of the dress. 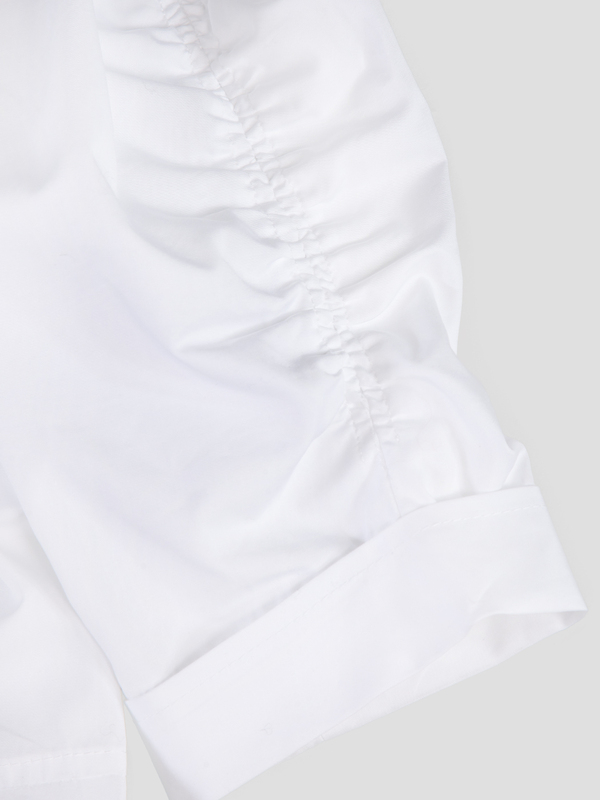 It also features stitching along the waist which allows the dress to naturally pleat as the skirt falls.